Step into the Wayback Machine and set the date for 1983. Step out and business is king. Silicone Valley is just about to take off and a bunch of new back-yard entrepreneurs are about to become millionaires. Will you be one of them? In Control Alt Deceit, you can certainly try to be, anyway. 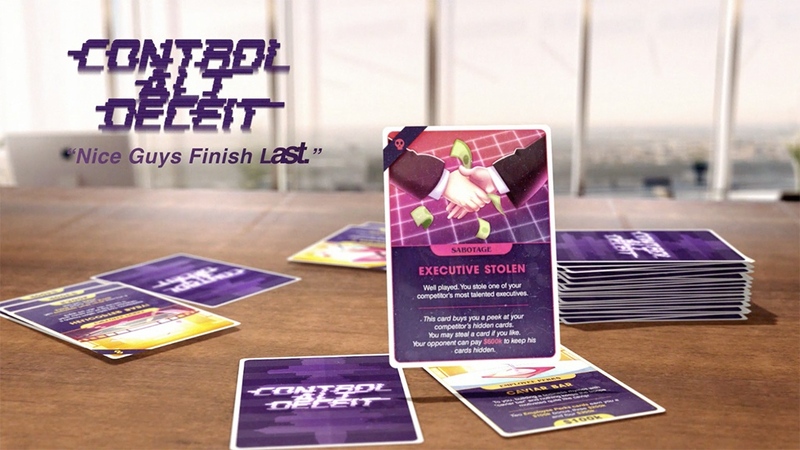 It's a new card game that's up on Kickstarter now. In the game, players take on the role of people in charge of their own small tech business. By playing cards, you'll need to build up your company's assets, recruit and keep your employees happy, and look to sabotage and take down your opponents. The ultimate goal is to have an IPO and surge your way to becoming a household name. The Kickstarter campaign is up and running now and is set to go for another 21 days.